For the 13th year in a row, Manchester-Boston Regional Airport is reporting a decline in passengers. 2018 saw around 123,000 fewer passengers — a 6.2 percent decrease — flying in or out of the airport, compared to 2017. Much of that loss is attributed to a 10.4 percent decrease in passengers on the airport's largest carrier, Southwest Airlines. The number of Southwest passengers in 2018 was around 1 million, less than half of what it was in 2008. 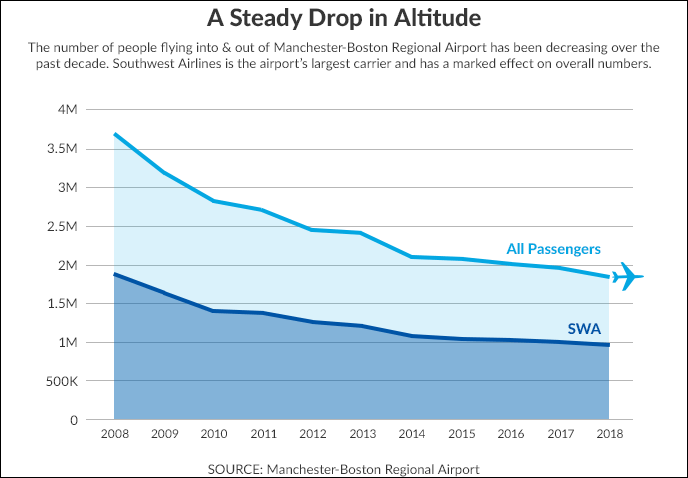 Manchester-Boston Regional Airport Director Ted Kitchens attributes that to "macro-level changes going on in the industry," including reorganization of Southwest Airlines throughout New England airports. Kitchens says he's planning to meet with Southwest Airlines in the next few weeks to convince them to add flights back and return to its numbers a decade ago. "We plan to bring to light some of the positive things going on in the region," Kitchens said, including increase in per-capita and disposable income, and the growing "knowlege economy" in southern New Hampshire. Despite the decline in passengers overall, two carriers — Skywest and American Airlines — saw major growth. There was also a 10 percent increase from 2017 in the amount of cargo being delivered to and from the airport, which put numbers at the highest amount since the 2008 recession. Kitchen said cargo numbers oscillate every year, but generally follow economic trends. "Cargo goes the way the economy goes," he explained. 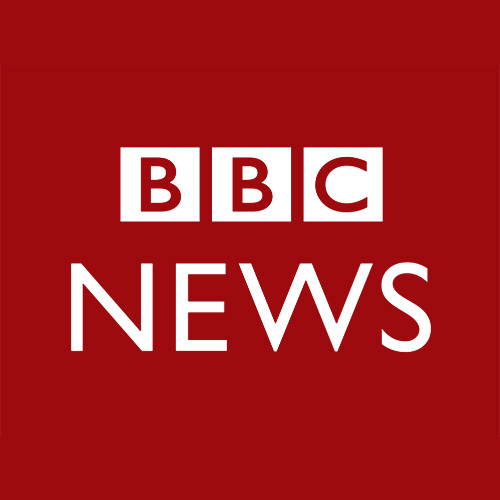 This story was first published by New Hampshire Public Radio.